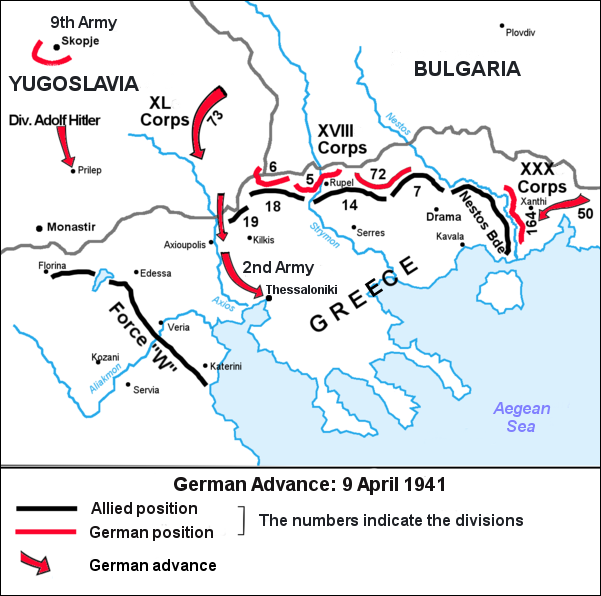 This week in the war, on 6 April 1941, German forces invaded Yugoslavia and Greece. Goering’s Luftwaffe launched heavy attacks against Belgrade, despite the Yugoslavian capital having been declared an open city. Further Luftwaffe raids wrecked the Greek port of Piraeus. In his book The Second World War, Winston Churchill describes the German invasion of Greece via Yugoslavia and Bulgaria, followed by the British retreat to Thermopylae (of Spartan fame). The Greek armies along the Albanian frontier surrendered. The British withdrawal continued, and General Wavell extricated most of his force of 60,000 men while under constant air attack. The Royal Navy came through again, as it had done at Dunkirk and Norway. Twenty-six ships were lost as a result of air attacks. 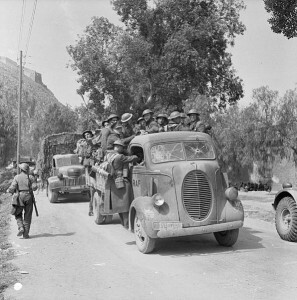 The small Greek navy escaped to Alexandria, while the British withdrew to Crete, where they were determined to make a stand. The Greeks had been attacked by Italy in October 1940, and had done more than hold their own against a superior enemy, well-equipped with both planes and tanks. The Greek army had pushed the invader back into Albania and had successfully defended the mountainous frontier throughout the winter of 1940/41. 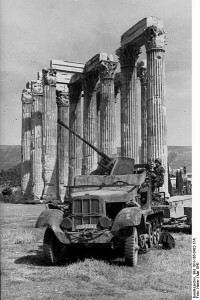 But the Greeks had little chance when the might of the German Wehrmacht and the Luftwaffe were added to that of Italy. The Bulgarians, too, sent their army across the border. Greece surrendered on 24 April 1941. This entry was posted in Book, World War II and tagged Greece, Wavell, Yugoslavia. Bookmark the permalink.